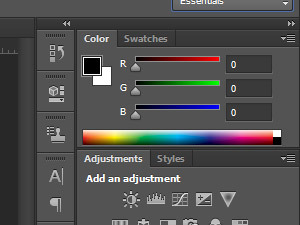 When I work I want to have color and layer's settings always on disposal. 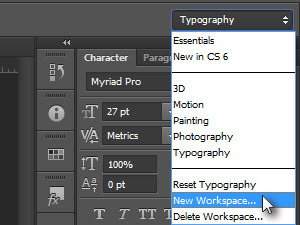 Let's say you want to adjust your workspace to work with text and typography. 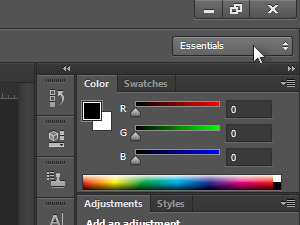 As you can see there are quite a few already optimized workspaces for the certain type of work you are doing. 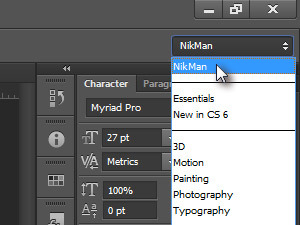 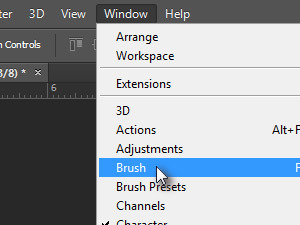 You can even set the New ins CS 6 workspace to see all the new features of Photoshop CS6. 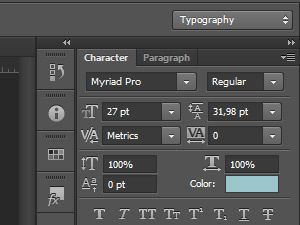 I know have workspace set to work with typography, like setting up the look, size and everything to do with fonts and text. 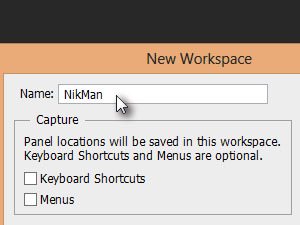 Enter a name for your new workspace and click OK.
Now choose which tools and option you want on your Workspace by clicking Window and simply choosing what you want on your new workspace. 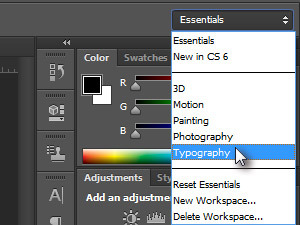 Next time you choose a different workspace, the one you just created should be among them as well.